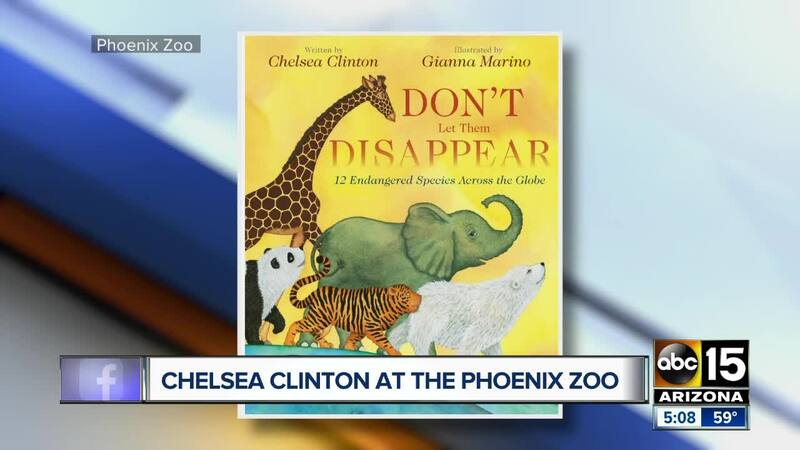 Chelsea Clinton will visit the Phoenix Zoo on Monday to promote her new children's book. The book features 12 endangered species across the globe, "and what we can do to help them survive," according to a press statement about the book. The event runs from 5:30 p.m. to 8:30 p.m. at the Phoenix Zoo, located at 455 North Galvin Parkway. Ticket prices range from $23.54 to $35.